Product prices and availability are accurate as of 2019-04-07 15:49:08 UTC and are subject to change. Any price and availability information displayed on http://www.amazon.com/ at the time of purchase will apply to the purchase of this product. 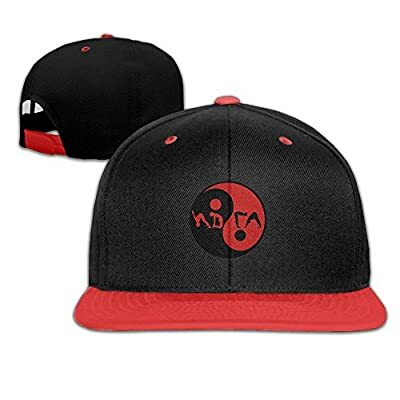 SnapbackRack.com are now offering the fantastic GUOFULIN Ying Yang Gym Adjustable Snapback Kids Hip Hop Hat Baseball Cap for a brilliant price. Don't lose out - buy the GUOFULIN Ying Yang Gym Adjustable Snapback Kids Hip Hop Hat Baseball Cap online now! The Pairing Of Fashion And Function Gets You Ready For Anything In Your Path.Unique Design Graphics,minimalism,and Contemporary Urban Street Fashion.Great For Hiking,Camping,Tourism, Gardening Or Any Outdoor Activity. Material:100% Cotton. Size:Adjustable Size:Cap Height: 9cm,Brim: 6cm,Cap Circumference:47-58cm. Process Description: Light And Unrestrained,Exquisite Workmanship,Four-thread Sewing,More Durable. For The Crowd: Recommended For Young People Or Children Under The Age Of 13,Group Activities,Class Activities.Makes A Great Gift! Expected Delivery Time: 7-15 Days Of Deliver Time.